Here is a list of all the supplements I use every day to build muscle and burn fat! TEA REXX is the fat burner that I use everyday to stay ripped! A lot off other fat burning supplements make me feel like a crack head because they have too much caffeine and un- natural ingredients. TEA REXX: EXTREME is unlike other fat burners in that it leaves out substances with dangerous side effects. What it does contain is 100% natural & mainly plant derived. It’s even comes in vegetable capsules to avoid consumption of animal byproduct known as gelatin – which is what most other fat burners on the market use. 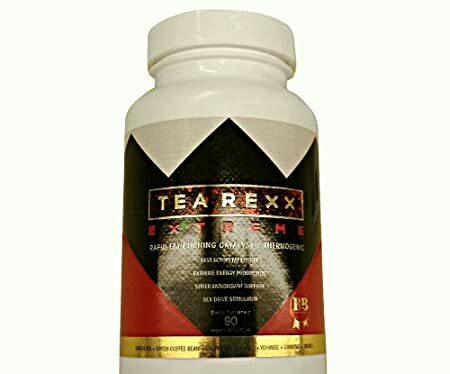 TEA REXX: EXTREME combines the most concentrated form of green tea extract available with raspberry ketones, green coffee bean, quercetin, L-carnitine, yohimbe, yerba mate, & more. This blend of super antioxidants, herbs, and amino acids gives you a tremendous amount of natural energy as well as fat burning capabilities. I started taking a Multivitamin EVERYDAY about 10 years ago, and I have been sick less than 5 times in the the last 10 years!!! Making sure you take a high-potency multivitamin/multi-mineral formula may help ensure the presence of those essential nutrients necessary for thousands of metabolic reactions. Bodybuilders, athletes, and people that lead active lifestyles need even more nutrients than the average non-active person. So if you think that just grabbing the first one you see on the shelf is going to work for you, think again. Without the multi, I am convinced that the other supplements you take will not be as effective. Not only is the multi the foundation of a great supplement strategy, it should be the first thing you take care of. First thing when you get up in the morning, take your multi. Done. You are now ready to go with whatever it is you have to do for the day. If you are in serious training, then you’ll find support for faster recovery by taking your multi as soon as you finish working out. Vitamins are organic. They are more complex than minerals. All vitamins are required by our bodies for survival. Vitamins control the chemical reactions within the body to convert food into energy and living tissue. They are either water soluble which must be taken daily since they are not stored in the body (Vitamin C and all of the B Vitamins) or fat soluble, which are stored in the body (A, D, E, and K). Minerals are inorganic. They are much simpler in chemical form than vitamins. They are much more stable in food preparation than vitamins also. Minerals are categorized as major/macro – (calcium, phosphorus, potassium, sodium, chloride, magnesium, and sulfur), and trace/micro- (iron, iodine, zinc, chromium, selenium, fluoride, molybdenum, copper, and manganese) minerals. Major minerals we need in dosages greater than 100 mg a day. The trace minerals we only need “trace” amounts of daily to suffice. Minerals are used to produce necessary hormones. A simpler way to remember this is that all minerals are found on the periodic table. It doesn’t matter whether you are male or female, young or old, bodybuilder, football player, or everyday gym rat. Your multi should be the first supplement you take every day. I REALLY like THIS MULTIVITAMIN because It covers EVERY and then some! I take it everyday. You Can buy it here. Anyone who wants to maximize their muscle gains, burn fat and improve their overall health should be supplementing with high quality fish oil every day. Fish oil contains the extremely valuable omega 3 fatty acids, EPA and DHA, which produce a nearly endless list of benefits related both to body composition and health. While I could go on and on about fish oil’s beneficial effects on the cardiovascular system, immune system and on improving blood pressure and cholesterol, today’s article focuses specifically on the subject of fish oil for bodybuilding. 1) Fish oil increases muscle anabolism. Recent research at the Washington University School of Medicine has shown that fish oil is actually an anabolic substance. When a group of 25-45 year olds were given 4 grams of fish oil daily, the researchers found a significant increase in muscle protein synthesis. Protein synthesis is the process where cells combine individual amino acids to build complete proteins. Since proteins are the fundamental building blocks of muscle tissue, this is pretty damn important. They also found a notable increase in both the mTOR and p70S6K pathways, which are key signalling pathways that control muscle cell growth. 2) Fish oil decreases muscle catabolism. Not only does fish oil help you build new muscle tissue faster, but it also helps you preserve your existing gains. Your muscles are constantly undergoing a process of both anabolism (muscle growth) and catabolism (muscle breakdown). Your net muscle gains are determined by taking the total amount of anabolism and subtracting the total amount of catabolism. Minimize muscle catabolism and you maximize your overall muscle gains. The first is by lowering cortisol levels. 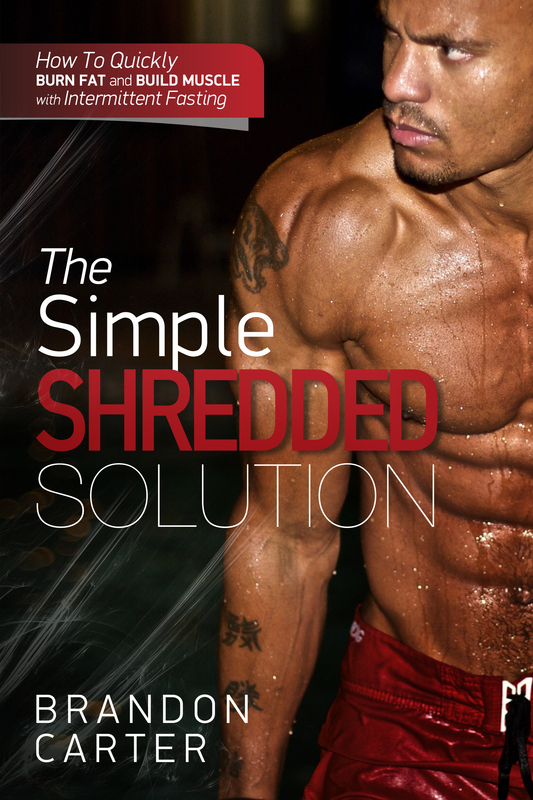 Cortisol is a powerful catabolic hormone that breaks down muscle tissue for use as energy. The second is by decreasing the activity of the “ubiquitin-proteasome system”. This system is the main cause of muscle breakdown, but is suppressed when EPA intake increases. 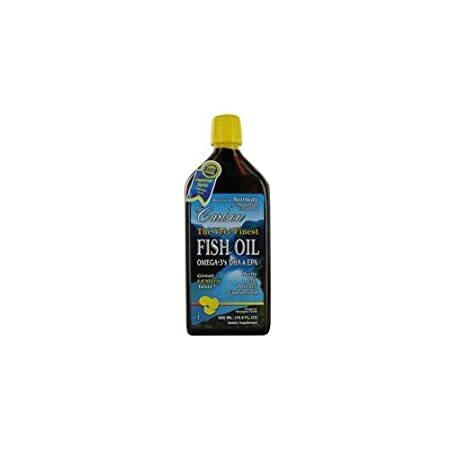 3) Fish oil decreases inflammation. Reducing inflammation after training sessions helps you enhance muscle recovery and overall growth. Scientists at Harvard Medical School found that DHA (one of the two key components of fish oil) signals the release of nitric oxide in blood vessels. Nitric oxide prevents white blood cells from sticking to blood vessels, which reduces inflammation. Not only does a reduction in inflammation improve muscle recovery, but it also has beneficial effects on your joints and connective tissues. Since intense weight training places a lot of stress on these structures, fish oil may be an important supplement in preventing injuries and managing existing training induced aches and pains. 4) Fish Oil Enhances Fat Loss. EPA and DHA decrease the activity of certain fat-storing enzymes while simultaneously increasing the activity of enzymes responsible for fat oxidation. Fish oil also increases thermogenesis, which is the number of calories that your body burns as heat energy each day. On top of this, fish oil helps the body become more efficient at converting carbohydrates into energy, which reduces the percentage of dietary carbs that end up being stored as fat. All in all I’d say these are 4 pretty compelling reasons to make use of fish oil for bodybuilding purposes. 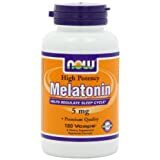 I take melatonin every night to help me sleep better! melatonin is a hormone that is naturally produced in the brain to help you sleep better and one of the easiest ways to burn fat and build muscle is simply to get more sleep. Research published this month in the Annals of Internal Medicine (one of the the big kahunas of peer reviewed medical journals) establishes that sleep–and sleep alone–is one of the most powerful diet tools ever identified. There’s not a diet pill on the planet that could accomplish what sleep did in this study, which compared two groups of overweight non-smokers on calorie restricted diets for 14 days. One group clocked 8.5 hours of sleep per night, and the other logged 5.5 hours of sleep per night (which the authors point out is a “norm” for people in this day and age.) Both groups ate roughly 1,450 calories a day. After two weeks, the people who slept more lost more fat than the group who slept less. More than half of the weight loss during the 8.5 hours of sleep was fat versus only one quarter of the weight loss during the 5.5 hours of sleep. People literally burned fat while they slept. First, when you lift weights, what you’re doing is actually tearing the muscle tissue in a healthy way. After you eat your body uses certain nutrients to repair your muscle tissue. What you need to remember though, is that the protein and your body won’t start repairing your muscle tissue until you are at rest for a extended period of time, such as sleep. What this means is that if you are lacking sleep, your body isn’t getting sufficient time to repair and recover your muscles one hundred percent. In addition to this, since sleep is the primary time the body recovers from exercise, it’s also when you will be rebuilding your torn muscle tissues. Without this recovery time, you’re going to go into your next exercise session at a disadvantage. Finally, you must not overlook the connection between the amount of sleep you get and your overall exercise performance. When you are short on sleep, it’s quite typical to find yourself struggling to maintain the usual level of exercise that you normally would tolerate quite well. One of the key recommendations for combating over training syndrome, which will quickly take you away from your workouts and limit further fat loss, is getting quality sleep. Failing to do so could mean you having to take time away from your program, which will without question of a doubt, slow you down. Creatine can actually be a really great supplement to help with muscle growth, gaining strength and also muscle recovery. The risks associated with creatine are actually quite mild. Anecdotally, people will say they have more muscle cramping, maybe more muscle pulls, dehydration, but when creatine is studied in a clinically controlled setting there’s very little difference from the groups using creatine versus not as far as the side effects. So it’s one of our safest supplements we can use. Using creatine before your workout will help you increase that intensity and that power of your workout. If you put creatine after your workout it will actually help you recover quicker from that workout so that your next workout is fresher. So if your goal is to get bigger and stronger and lift more weight you would want to take creatine before, but if you’re a triathlete maybe who’s training twice a day, putting creatine after that morning workout can actually help you train better that night. 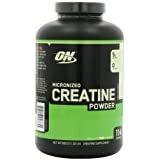 The other good benefit of creatine that a lot of people can appreciate is that the immediate response you see is your muscles hold more water. So if your goal is to get bigger, to get stronger, you’re gonna notice a difference in the appearance of the size and shape of your muscles even within the first week of taking it. But don’t let yourself be fooled, you’re not immediately that much stronger. You’re just holding the fluid. So as soon as you stop taking the creatine, of course that’s gonna go away, but it is a nice little side effect right when you start taking it. Whey tops the list of mass-gain supplements because it’s the most crucial for pushing protein synthesis. Whey is a milk protein that has a high level of branched-chain amino acids. Bottom line: Whey takes the crown because it digests fast and gets to your muscles rapidly to start building muscle. Whey also contains peptides (small proteins) that increase blood flow to the muscles. This is why we always recommend consuming whey protein immediately after training. 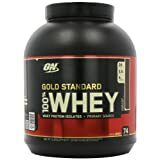 How to maximize its effects: Take 20 grams of whey protein powder in the 30 minutes before working out, and take 40 grams within 60 minutes after training. Also consider taking 20-40 grams of whey immediately upon waking every morning to kick-start muscle growth. The Branch Chain Amino Acids consist of three separate amino acids: Leucine, Isoleucine, and Valine. These amino acids are considered “essential” because the body cannot manufacture them and thus, they must be obtained from our diet. Leucine helps in the regulation of protein turnover and energy metabolism. It also helps inhibit the breakdown of muscle protein that occurs after high stress. Isoleucine’s main purpose is that of an antioxidant. Finally Valine improves energy metabolism and protein synthesis, and like Leucine, helps maintain muscle strength during times of high intensity physical stress. Branch chain amino acids are found in high concentrations primarily in the skeletal muscle tissue. These BCAAs account for 35-40% of the dietary essential amino acids in body protein and 14-18% of the total amino acids in muscle proteins. As our muscles burn up the available stores of BCAA’s in the body during exercise, they begin to break down skeletal muscle tissue in order to provide the essential amino acids to fuel more exercise. This cell damage results in reduced ability to contract and relax during intense stress, resulting in muscle fatigue, lactic acidosis, loss of performance and delayed recovery as muscle tissue repairs itself. 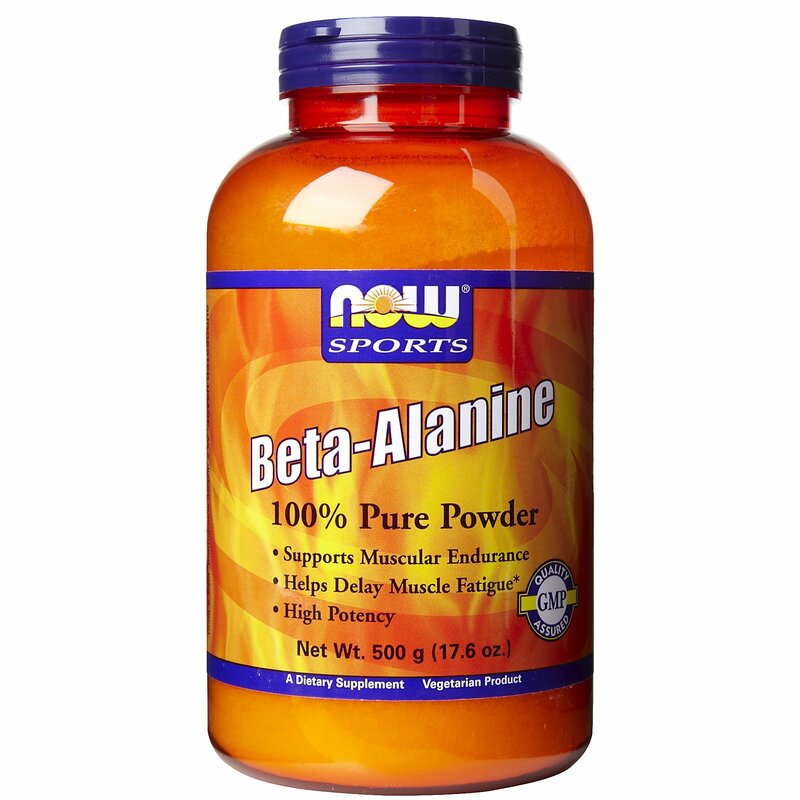 Generally, these branched chain amino acids are muscle synthesis, muscle growth, and muscle repair. More specifically these BCAA’s perform numerous functions, though they are not used as a primary energy source (as shown above), they are definitely an important fuel source for skeletal muscle during periods of extreme exertion. During these periods of stress, BCAAs help promote protein synthesis while helping to suppress its catabolism and serve as substrates for gluconeogenesis. The catabolism of the BCAAs in skeletal muscle plays a key role in the formation of glutamine which is one of the glucogenic amino acids. Other functions include; increased endurance resulting in delayed fatigue during exercise, improved mental performance, energy levels, immune system function, and finally, post exercise recovery. Post exercise recovery means less muscle soreness and fewer upper respiratory tract infections. In terms of skeletal muscle building and post exercise muscle recovery, many experiments have been done to the look at the effects of BCAAs. For example, one experiment gave branched chain amino acids or a placebo to 7 subjects during 1 hour of cycle ergometer exercise and during a two-hour recovery period. The intake of the BCAA did not influence the rate of exchange of the aromatic amino acids during exercise or increase their muscle concentration. However, during the recovery period, a faster decrease of the concentration of the aromatic amino acids was found within the BCAA group. The results suggest that BCAA have a protein-sparing effect during the recovery after exercise, either that protein synthesis has been stimulated and/or protein degradation has decreased. A second test was given to 14 healthy male and 16 healthy female adults, between the ages of 21-24 years old, who do not participate in regular exercise. The test performed were squats to induce delayed onset muscle soreness (DOMS) and muscle fatigue. Subjects were given either a BCAA mixture or a placebo that was to be consumed 15 minutes prior to exercise. The results of this study indicate that the ingestion of the 5g of BCAAs previous to exercise can reduce DOMS and muscle fatigue for several days after exercise. One study gave a group of trained triathletes 6g of BCAA per day for one month prior to competition, then 3g of BCAA from the day of competition to a week after. As compared with a placebo group timing the placebo for the same length of time, the BCAAs restored depleted glutamine stores and immune factors that occur in elite athletes. This study also suggested that may improve exercise induced declines of mental functioning. Lastly, one study tested 13 subjects whom ingested either a BCAA mixture or a placebo prior to endurance exercise in the heat. On average, the BCAA group cycled 153.1 minutes while the placebo group only cycled for an average of 137.0 minutes. What L-Glutamine Powder Can Do For You? This is especially useful for people ‘cutting down’. Especially during summer when you’re trying to get rid of some body fat without losing any muscle. Glutamine is needed throughout your body for optimal performance. Your small intestines requires the most Glutamine in your body, and your immune system also needs Glutamine because Glutamine levels deplete during workouts, bodybuilders are more susceptible to illnesses – this is why L-Glutamine supplementation is so important, not necessarily to gain more muscle, but for the ‘maintenance’ effects of L-Glutamine. Is There Any Side Affects With L-Glutamine Supplementation? Should you worry about Glutamine side effects? In short, no. You shouldn’t worry about Glutamine side effects, as studies have found it to have no adverse side effects, and also because Glutamine naturally occurs in your body, it has no health risks. However, like all supplements, too much is never a good idea. Taking excessive amounts of L-Glutamine has led to upset stomachs, so you should follow the recommended dosages. Shimomura, Yoshiharu, et al. “Exercise Promotes BCAA Catabolism: Effects of BCAA Supplementation on Skeletal Muscle during Exercise.” The Journal of Nutrition (2004): 1583S-1587S. Shimomura, Yoshiharu, et al. “Nutraceutical Effects of Branched- Chain Amino Acids on Skelelal Muscle.” The Journal of Nurtrition (2006): 529S-532S. Blomstrand, Eva, et al. “Branched-Chain Amino Acids Activate Key Enzyme in Protein Synthesis After Physical Exercise. The Journal of Nutrition (2006): 269S-273S. Stout, Jeffrey, and Jose Antonio. Sports Supplements. Lippincott Williams & Wilkins, 2001. “The Healing Nutrients Within”, E R Braverman & C C Pfeiffer, Keats, 1987. Quest Health Library, “l-glutamine”, 2000.